Already supported by Rory Phillips, Gloves, Shinichi Osawa, Treasure Fingers, The Magician, Justin Faust, VillA or Gigamesh, the new 12″ from Portuguese disco act Mirror People has garnered rave reviews across the board. Released via Discotexas, “Feel The Need” features diva vocals by Rowetta and the download bundle includes remixes from the likes of Moullinex, Munk, Social Disco Club and Severino. Rui Maia, the ‘hands’ behind the Mirror People, is a Porto-born producer who is equally inspired by the sounds of Joy Division, David Bowie, Air and Stereolab. 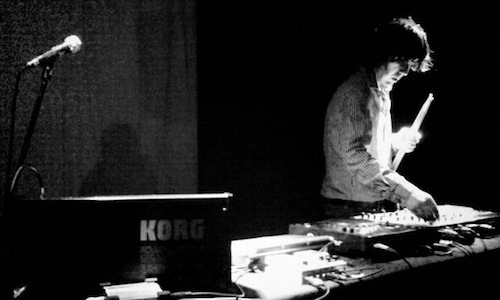 After collaborating with X-Wife on their debut record, where Rui played synthesizers and electronics, he decided to develop his DJ & studio production skills. In 2010, influenced by Italians Do It Better and DFA, Rui formed his latest project – Mirror People. More disco-house oriented than his previous efforts, Mirror People has released EPs on labels such as Permanent Vacation, Brilliantine or Raw Cutz Records.